« Looking for National Gun Rights Organizations? You Have Options. The Special Operations Warrior Foundation was founded in 1980 to provide support and assistance to personnel serving in the U.S. Special Operations Command. There are two major aspects to the Foundation’s mission. First is to provide a full college education to surviving children of fallen SOF personnel, and second is to provide immediate financial assistance and support to the family of severely wounded SOF personnel. 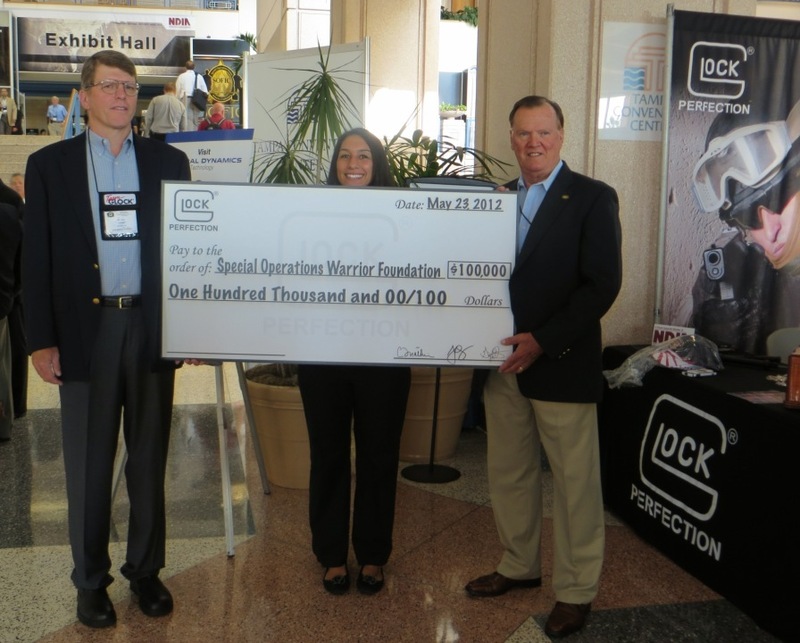 Accepting the donation on behalf of SOWF was Col. John T. Carney Jr., the founding father of Air Force Special Tactics and current President of SOWF, and Melinda Ruddess Petrignani, former recipient of the SOWF Scholarship. Petrignani is one of more than 800 children of fallen SOF personnel to whom SOWF has provided aide. Her father, Army Ranger Private First Class Michael Ruddess, was killed in a training accident in 1986 when she was only eight months old. Through the financial assistance from SOWF, Petrignani graduated from DePaul University in 2008 with a degree in Business Administration. In September 2010, Melinda joined SOWF, where she works with families and students as a Financial Aid Counselor. 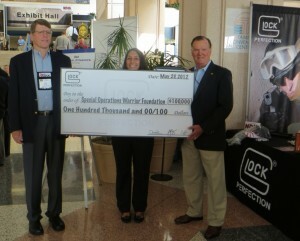 Throughout the past seven years, GLOCK has contributed $700,000 to SOWF. GLOCK, Inc. donates more than $500,000 each year to causes that benefit those who endeavor to defend the freedom that Americans enjoy.